The business of press monitoring | GM Info Consulting Kft. A hibás döntést meg lehet bocsátani, de a késést nem. 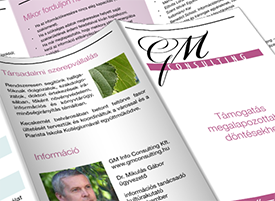 The article provides an overview of the Hungarian and the international market of press monitoring from the point of view of specific user neeeds, listing the most important for-profit and free of charge providers and presenting their services. The market convergence and new development trends are demonstrated with concrete examples. The article also deals with the legislation of press monitoring, and includes a glossary as well as a brief history of press monitoring.